I see what you’re trying to do…. 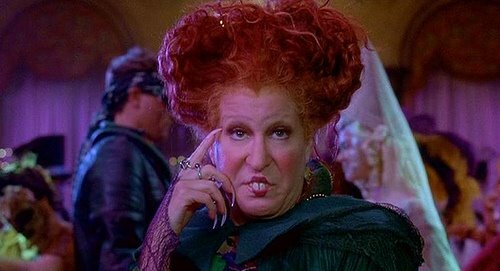 Lady Gaga is only in her twenties but looks way, way, way older in this shot and is it just me or does she bare a striking resemblance to Bette Midler in the brilliant 1993 film Hocus Pocus (which also stars a pre-Carrie SJP) ???? Rolling Stone is known for its eye-catching covers, such as this Britney one from 1999. At that time Britney was still convincing the world she was a 17 year old virgin… Middle America was outraged by this raunchy jail-bait cover. If only they knew that was a mere taster of what was to come from Miss Spears….